SEE Something, Say Something, a new public service initiative for Tralee has been launched by Tralee Chamber Alliance in partnership with An Garda Síochána. The project, the first of its kind in Ireland, is for members of the public who ‘see something’ that might need Garda intervention, to ‘say something’ by texting TRALEE and the incident details to 50555. 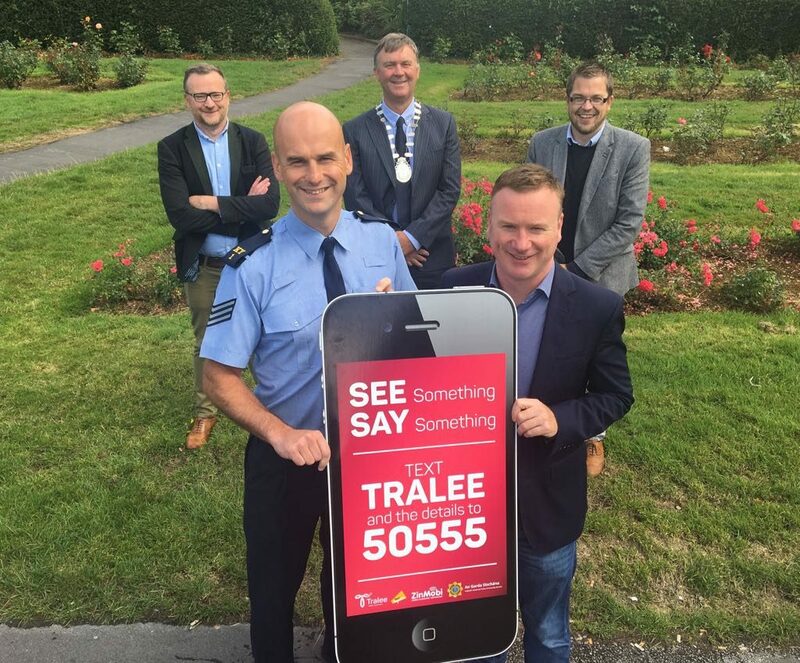 Tralee Chamber Alliance has been working with ZinMobi, a Tralee-based technology company, who have generously sponsored the development and delivery of the See Something, Say Something campaign. For more details about the work being undertaken by Tralee Chamber Alliance on behalf of the business community in Kerry’s Capital, visit www.Tralee.ie. Job well done for Tralee Chamber Alliance for such a great public service initiative for our town and ZinMobi for their generous sponsorship.